Medtronic Covidien Kendall Monoject Oral Medication Syringe is a clean, single-use polypropylene syringe with separate ribbed tip caps. 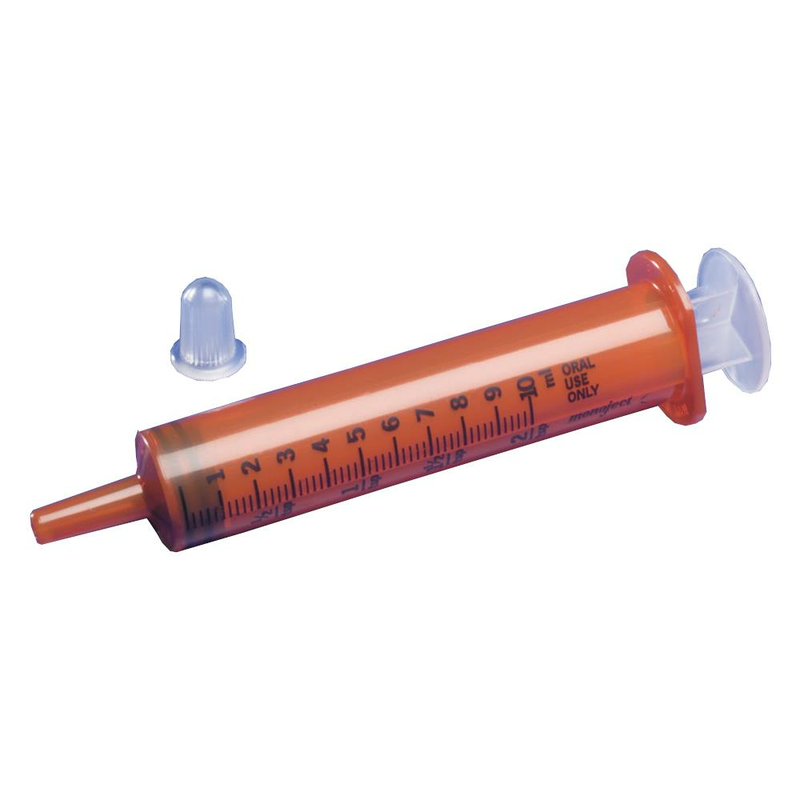 This oral syringe features a polypropylene barrel and plunger rod, latex-free plunger tip, dual graduations in both millimeters and teaspoons. The oral feeding luer tip will not accept hypodermic needles. Available in clear or amber tint.